Known for supplying, distributing, importing and trading a wide range of supreme quality Electronics Security Products, "NSU Trading", was established in the year 2007. The product range offered by us is inclusive of CCTV Dome Cameras, R Bullet Cameras and Box Cameras. Owing to their compact design, user-friendly, longer functional life and ability to withstand harsh weathering conditions, these electronics security products highly demanded in the market. 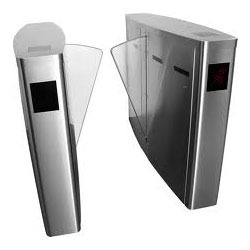 These electronics security products are procured trusted vendors of China. By using ultra-modern tools, our vendors manufacture these Electronics Security Products in compliance with the industry set norms and regulations. Due to our large distribution network, we have been able to meet the bulk demands in the most efficient manner. In addition to this, we are engaged in offering excellent Resealing, AMC, Installation services to our customers. These services are highly appreciated for their effectiveness and timely execution. It is owing to our customer centric approach that we have been able to effectively meet the precise needs of our valuable customers in the most efficient manner. Being a quality conscious organization, the optimum quality of the offered electronics security products is maintained at all times. We are the leading channel partners and system integrators for Zicom, Wipro, Panasonic, Honeywell, Hikvision, Dali, Cp Plus , Avtech, Dahua, Pelco, Bosch, Safex, Minimax, and many more. We are authorised distributor for Vintron.